The quarter finals are here and this day will feature two of the four matches on the schedule. The first match as usual will be played at 1pm local time in Brazil. For the first time since the introduction of the current World Cup format in 1998, all quarter final participants are group winners, and this one will feature the ones from groups E and G.
The match will be played at the infamous 78,838 seater Estádio do Maracanã in Rio, where France drew Ecuador in their final group stage match. These two nations have faced each other on twenty-five previous occasions. France holds a record of eleven wins and the Germans with eight. The two sides have played to a draw in the remaining 6 meetings. This is the stage where we start to see "giants" go at each other and there's not many better match-ups to start it off than a rivalry that has been contested over twenty times previously. It is rumored that as many as seven German players have been plagued by what seems like the flu, but whether it is true or not the French will go full force into this meeting in hopes of eliminating their European rivals whether they are at their best or otherwise. Both of these squads had some difficulties in their round of 16 matches against African sides, with the French winning 2-0 against a resilient Nigerian side and the Germans being held by the "Desert Foxes" of Algeria to an extra-time frame before winning the match 2-1. It's not often we discuss defenders as players to watch, but with each passing match French full-back Mathieu Debuchy is looking more and more dangerous coming up from his flank. Against Nigeria he looked solid both in defense and going up in transition and creating scoring chances. 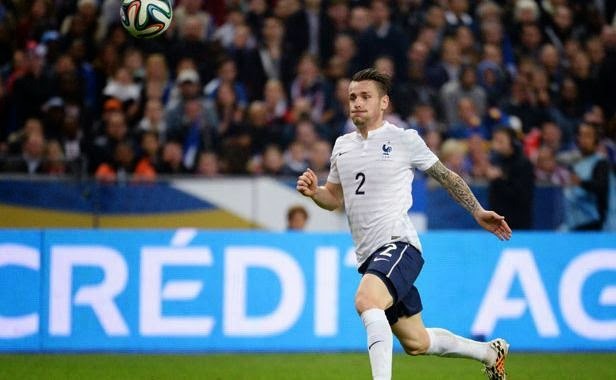 Debuchy's contribution could prove to be vital to the French in order to succeed in their quarter final match. On the German side 23 year old André Schürrle got his game going against the Algerians and could also prove to be vital for his squad if he is included in the line-up. The Chelsea FC midfielder proved that he can play a very mature game on the pitch. The second match of the quarter finals will be played at 5pm local time in Brazil. This fixture is between the hosts Brazil (winners of group A) and Colombia (winners of group C). 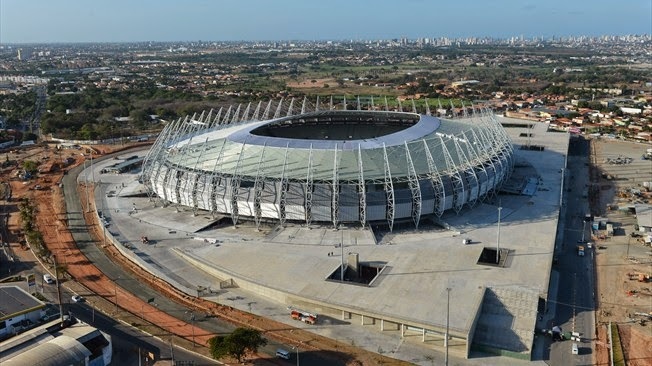 The match will be played at Estádio Castelão, in Fortaleza, which has a capacity of 67,037 people. This is the same arena where Brazil drew Mexico 0-0 in their second match of the 2014 World Cup. These two nations just like the ones in the 1pm match, have also faced each other on 25 previous occasions. But unlike with France and Germany, the record between Brazil and Colombia is much more uneven, with the two sides drawing eight times, Colombia winning just twice and Brazil coming out on top in the remaining 15 meetings between the two. This match has excitement written all over it. With the hosts Brazil playing a very good Colombian squad this match could be quite explosive. Brazil will obviously be looking to advance all the way to final, but with many difficulties in pretty much every previous match this may prove more difficult than most anticipating. Colombia on the other hand are on a great run. In their four matches thus far they have only conceded twice while scoring eleven times against their opponents. If Colombia can do the "unthinkable" they will surely look to go all the way and become the eighth overall nation to win the World Cup. If Neyamr is healthy (which it seems he is) it will be the head-to-head everyone has been anticipating. The goal scoring leader James Rodriguez against the ultimate player in Neymar. There are no two other players that the cameras and eyes of the spectators will concentrate on more, and therefore we cannot imagine picking any other two footballer as the "players to watch" in this match.